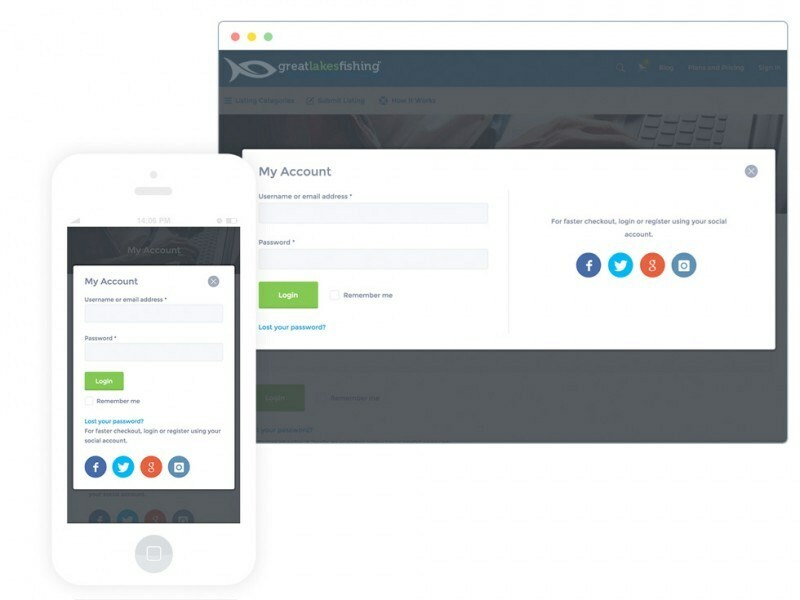 Creating an account with Great Lakes Fishing is easy. All you need is a username and email address and you are ready to go. You can even easily create an account using the social login feature to avoid any “login/register” friction. If you already have an account, simply click here to login to Great Lakes Fishing You can manage all your listings directly from your account page with ease. Listings can be updated anytime and as frequently as you choose. 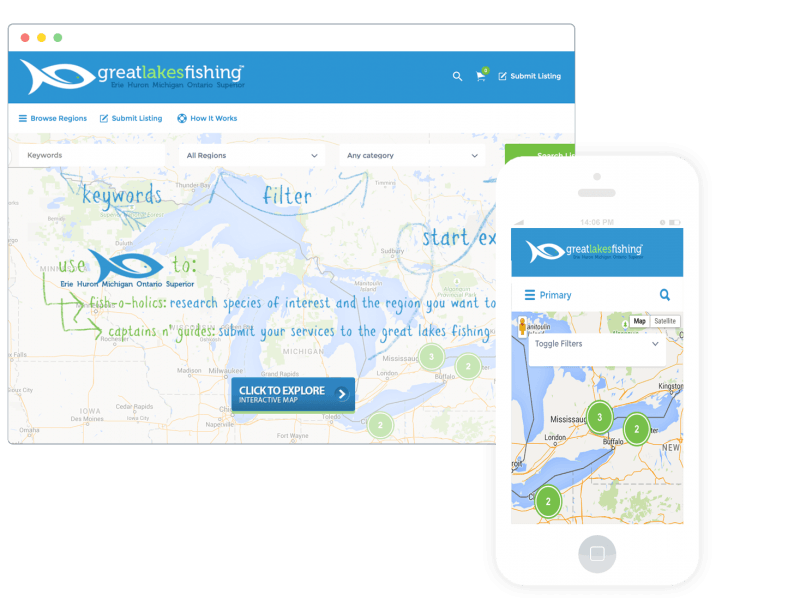 Submitting a listing using Great Lakes Fishing is super simple, we’ve made entering the address of your place easy, when using our Google Places API it will auto complete the listing address. You can even fully customize your submission by inputting images, videos and other details about your charter or guide service. There will be a direct link to your website on the page driving more traffic to you. Visitors can even bookmark your business for quick future reference. You have full control over your listing and can update it at any time. Let’s be honest. The problem with most directories, while highly functional, is that many of them aren’t very pretty and try to cater to everything and everyone. Great Lakes Fishing caters to guides and captains and those looking to book a charter service. That’s it. It’s why the beautiful ones are so popular, because they match great photography of the outdoors with fantastic functionality. That’s what we’ve done with Great Lakes Fishing.